Any commonly used access point to get onto a property is considered a property entrance. 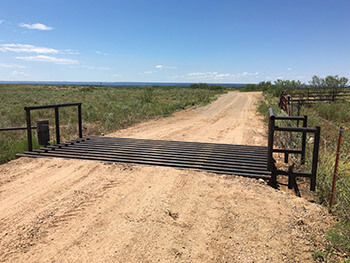 These points of entry are usually accompanied by a gate or cattle guard in rural areas. 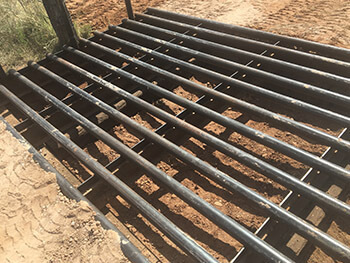 Also, these points will have a culvert underneath the entrance to allow water to flow smoothly under the drive and not restrict flow. Restricting water, also known as bottle necking, will erode away an entrance to the point that it can become impassable. We are ready to help! Call today.